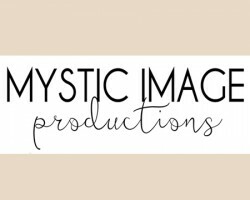 When you hire a Cleveland wedding videographer, your needs will be unique and unlike any other couple the company has dealt with before, which is why J Fray Productions offers couples so many options when it comes to filming and producing a video of their big day. At different price points, you can enjoy a short highlight film with 8 hours of coverage from the day, a short film with 10 hours of coverage or a feature film with 12 hours of coverage. The Rad Cinematographer is a company made up of a team of professional wedding videographers in Cleveland, OH who work to give their clients the most personal and fun filming experience and final video. With wedding packages beginning at $2000, booking this team is truly the best bargain to be had in the local area. When you consider the quality of filming and the number of professionals who will be capturing your event, this company really is the best option for the best price. Who better than a husband and wife team of professional videographers to capture your love story? Jet Weddings is one of the premier videography teams in Ohio because of their style of working with clients, with one another, and their eye for special moments to include in the final film. This duo has been working together since the very beginning of their relationship and their professionalism and talent has only grown. For affordable rates, you can book this pair to film your wedding beautifully. The Wedding Wire as well as many other organizations as one of the top wedding videographers in Ohio have recognized Saturn Entertainment Studios. Not only does this company use the latest filming and sound technology to capture your big day but they edit the footage together into an artistic and personal film that you can watch again and again. They can work to tell your love story in a short film or tell the fairytale that is your wedding in a slightly longer video. It is clear from the reviews of Sunshine Video Productions that the company has a talent for making films that please their customers. From the easy-going style of shooting they adopt to the final custom film, each of their clients has been over the moon with the videography this company provides. Trusting a company this famous for their success is the best thing you can do for yourself when you are choosing which videographer is right to capture your big day. 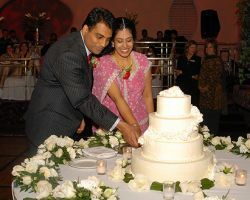 Digital Wedding Videos has experience filming both traditional Ohio weddings as well as authentic Indian weddings. This company understands the flow of a variety of weddings and can work accordingly. With different services and packages to choose from, you can make sure that the videography matches your exact needs Whichever services you do choose, you know the film will be artistic, true to the nature of your day, and of the very best quality. There is no other company more equipped to handle filming your wedding than this one. 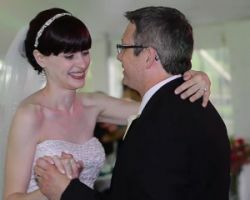 Capturing all of the sounds and the images from your big day is exactly what Carroll Video will do when they are hired as your wedding videographer. This company is family owned and operated, which gives clients more personalized service. They want to produce the wedding film of your dreams, which is why they offer to work closely with the couple to ensure that happens. The final film will not disappoint you when you hire these experts to create something beautiful and artistic. A Crystal Clear Sound Video Photo & Photo Booth provides quality wedding services at affordable prices. Create a package with 2, 3, or 4 services, as well as extras including engagement shoots, ceremony music, uplighting, and highlight videos. Our upfront pricing will make it easy, as well as affordable. A+ rated by the BBB, ACCSVP has been in business for almost 30 years. Call today and let us help you make beautiful memories that we will help you treasure for a lifetime.